Every year, the summer movie season releases a lot of high-quality films. It also releases just as many duds. Which movies might fall under that unfortunate category in summer 2016? Here are a few you may want to wait to see until they hit Netflix. Sure, pretty much everyone and their mother downloaded Angry Birds onto their phones at one point in time. And why not? It's a totally addictive game. But did it really need to be turned into a movie? That's the lingering question many people have two months ahead of The Angry Birds Movie's release date. The movie actually has more street creed than you might think, though. Its screenplay was written by Jon Vitti, who has lent his talents to such classic animated shows like The Simpsons and King of the Hill. Still, it's hard not to look at this movie and judge it for what it probably will be: a lazy attempt attempt at cashing in on a popular app. Here's hoping we're wrong. Thus far in his career, the only laughs Russell Crowe has ever gotten were for his nails-on-a-chalkboard vocals in Les Miserables. So, naturally we're pretty worried about him co-starring in one of the biggest Hollywood comedies of the summer, The Nice Guys. It certainly doesn't help that he just hosted a terrible episode of Saturday Night Live, or that all of his scenes in the Nice Guys trailer with Ryan Gosling made them look like the worst-paired duo since James Franco and Anne Hathaway hosted the Oscars. Having said all that, writer-director Shane Black did resurrect Robert Downey Jr.'s career with 2005's criminally underrated Kiss Kiss, Bang Bang. So, perhaps he simply knows something we don't. Every summer movie season brings us at least one sequel we didn't ask for. On the list in 2016: Alice Through the Looking Glass, a sequel to Tim Burton's mediocre 2010 movie Alice in Wonderland. This time around, Burton is being replaced by director James Bobin, known for his work on the Muppets movies and Flight of the Conchords. That, at least, is a step in the right direction. But letting Johnny Depp reprise his over-the-top performance as the Mad Hatter? Nope, that's about 50 steps backwards. Remember what we told you about summer movie seasons and unnecessary sequels? Introducing Exhibit B: Teenage Mutant Ninja Turtles: Out of the Shadows. The first TMNT movie of this series was universally panned by critics, and received five Razzie nominations and one win (for Megan Fox, natch). Which means it's virtually impossible that Out of the Shadows will be even remotely good. What's worse is that people will inevitably see it anyway. If TMNT came within inches of the $200 million mark in 2014, Lord only knows how much money Out of the Shadows will make in its run. And that is definitely something to worry about. Despite one or two notable exceptions, history has proven time and again that making a film based on a video game is generally a pretty bad idea. One need not look further than the Resident Evil series to prove our point. Will Warcraft suffer the same fate? All signs point to "probably." Working against it already is ts reported $100 million budget. Unless it opens to record-breaking numbers, Hollywood will inevitably view it as a failure. Oh, and that mediocre trailer? Honestly, you're probably better off playing World of Warcraft at home. Sure, the original Independence Day made $306 million at the box office. But was it actually a good movie? No…or at least not enough to warrant a sequel 20 years later. Independence Day: Resurgence couldn't even get Will Smith to come back for another go with the aliens. Instead, we're stuck with Jeff Goldblum and the younger Hemsworth brother. Which is about as big of a red flag as you can find. Strangely enough, the cast of The Legend of Tarzan may have the most pedigree out of any other movie released this summer. Samuel L. Jackson, Christoph Waltz and Jim Broadbent are just some of the big names attached to this project. It's also being directed by the very-well respected David Yates, who brought so many Harry Potter movies to life back in the day. On the one hand, all of this suggests that Tarzan might be the surprise hit of the year, the way Rise of the Planet of the Apes was a few years ago. On the other hand, did we really need a live-action movie about Tarzan? Come on. It's Tarzan. Of course we didn't. Sigh. At least this version won't have any songs by Phil Collins. On paper, an all-female reboot of Ghostbusters starring Kristen Wiig and Melissa McCarthy sounds awesome. The fact that it's re-teaming them with their Bridesmaids director, Paul Feig, is icing on the cake. In fact, for awhile, this was looking to become one of the biggest hits of the summer. And then the trailer came out. As much as we still want to love this movie, all of the clips and jokes shown in the trailer were either mediocre or just plain unfunny. Going for a PG-13 rating over an R may have been a huge mistake. Perhaps they're just saving all the good stuff for the actual theatrical release. It's possible…we're just not going to hold our breath. No matter what, Suicide Squad will end the summer movie season as one of the top-grossing movies. Still, as with any movie with this amount of hype, it's hard not to wonder whether it will actually live up to our expectations. 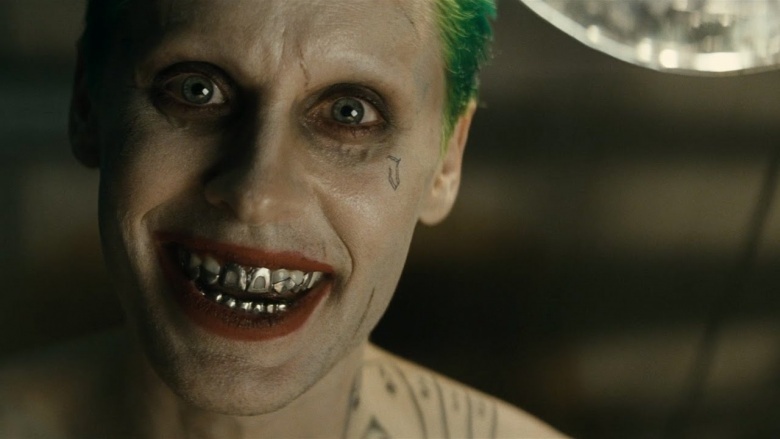 The most recent trailer for the movie seems to indicate that Suicide Squad may be more messy than not. Margot Robbie's comedic timing looks off; Will Smith looks out of place; and whey are they hiding Jared Leto's The Joker from us? Are they saving his performance for theaters? Or is it just really, really bad? The fact that we're asking these kinds of questions two months ahead of its release can't be a good sign of things to come. Combine that with the poor reviews for Batman v Superman and the Suicide Squad reshoots that followed and it's enough to induce a headache. Just…why? Why is this happening? Who decided to remake a beloved classic that won 11 Oscars back in the day? Not one Oscar, not five Oscars…11 Oscars. It's baffling to think about, almost as baffling as everything that was shown in this remake's trailer. What's next? A remake of Citizen Kane starring Ashton Kutcher? Oy. If Captain America: Civil War is going to kick off the season on a high note, Ben-Hur is most likely going to end it on the lowest of lows. There's just no other possible outcome.